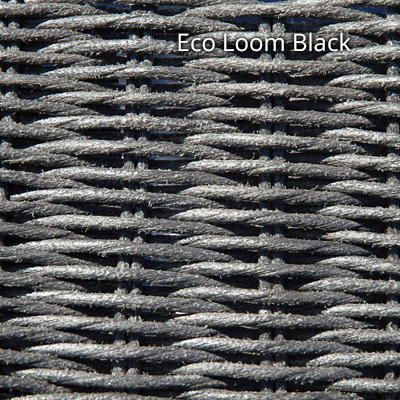 The Ecoloom Balcony Set is available in two colours – Charcoal / White. They tolerate a temperature range from -70 to +70 degrees Celsius meaning the colour does not fade or degrade. They are eco-friendly and contain no harmful Cadmium, Lead or Chromium that other manufacturers still use and can harm the environment. 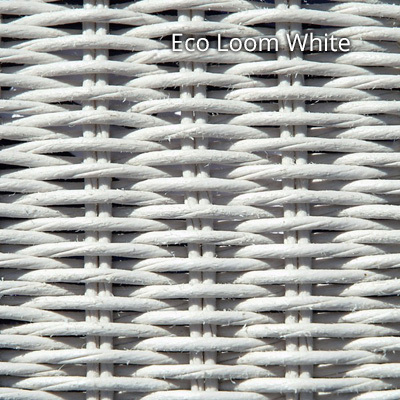 The textured surfaces look and feel like natural rattan. They have a high resistance to water of all types including sea water and chlorinated water. They’re easy to wipe down; requiring little maintenance. Set Includes: 2 Chairs, Side Table, Seat and Scatter Cushion in Black Pin Stripe.